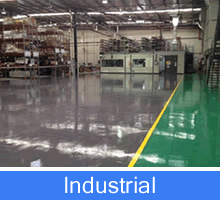 Epoxy Flooring in Sydney, is very competitive but few have set industry standards like Eversafe Industries. We have been the leader in concrete repair and protective coatings since 1980. By using our knowledge and experience we ensure the best solution on each project. Concrete is a common surface which requires protection to maintain its surface. Without the correct coating and treatments it will damage or degrade the surface. This leads to ongoing maintenance costs and safety issues. 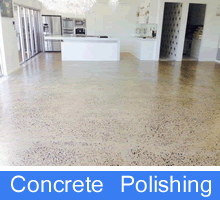 You can protect your concrete by with an Epoxy floor coating. It is otherwise known as an epoxy resin flooring. An epoxy floor is an investment which protects a floor from wear and tear. It is also more visually appealing surface by reflecting the light. Ongoing maintenance and recoating, will provide decade's long protection to your valuable investment. This also means you provide a safe facility for staff and less time lost in productivity. It is vital to use an experienced applicator as there is preparation that is critical to the coating. Before any epoxy application there are some key steps in preparation. This includes concrete crack repair. There are additional considerations depending on your premises. As Epoxy flooring Sydney specialists we can also install perimeter coving. 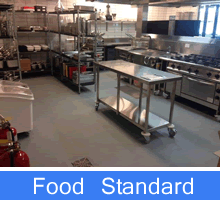 This will meet Food Standard requirements for commercial Kitchen Flooring. This ensures your business meets the stringent health regulations. The cost of epoxy flooring depends upon the type of application. These include both roll coat application or trowel on. Different types of exposure and wear and tear will determine the application type. 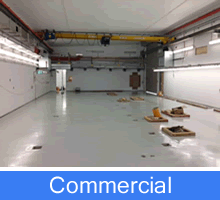 Epoxy flooring is a major component of our works undertaken although not the only service we provide.